You know you need more bookings for your holiday home. After all, when you purchased it you intended to rent it out to offset the costs of purchasing and regular maintenance. But, unfortunately, getting bookings isn’t as easy as you thought it would be; at times, you’re not sure what you should be doing to increase the number of bookings you’re getting. Good news! In this article, we’re going to give you some really actionable ways to increase the number of bookings you get. After reading this post, you’ll have an easy to follow road map for increasing the number of bookings you receive. Ready? 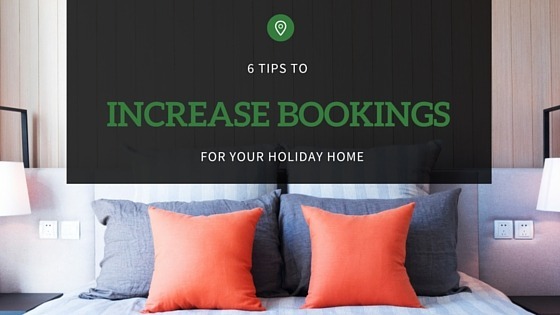 Here are the 6 tips you need to increase bookings for your holiday home. A fantastic way to stand out from the crowd and get more bookings is to amaze guests with what’s included in your price. Many people, in an effort to save money, include few extras in their price. By stacking the amenities high and deep, you demonstrate your generosity and win yourself more customers. When potential renters see the amenities you’ve listed, they will feel as though they are getting superior value from your home. This will set you apart and ultimately lead to more bookings. When listing your home on third-party rental sites, such as Tripadvisor, HomeAway, Wotif, etc., consider how others are going to be searching. What terms will they be using? What nearby locations will they be searching for? Why will they be traveling to your location in the first place? All of these questions need to be considered when creating your listing. Do your best to put yourself in the shoes of those who may see your listing. What would you want to know? What information would you consider to be indispensable? What information would lead you to pick a particular holiday home? As you write out your descriptions, focus on the highlighting the amazing and unique benefits of your home. Help potential guests envision what they’ll be doing while they stay at your home. Will they be enjoying a gourmet meal in your fully furnished, restaurant sized kitchen? Will they be relaxing on the veranda enjoying the sunset? Can they escape the cold weather next to the fireplace in your living room? Paint a picture in your descriptions. Be sure to use high quality photos of your home. Remember, photos serve as the first and primary impression people will get when they view your home online. You have to compete with thousands of other listings, so your photos should make your home stand out. The number of bookings you receive directly correlates to the quality of the photos you use. Use lighting to brighten up the inside – shoot during the day, with all the lights on, curtains open, and as much natural light as possible. Aim your camera towards the corner of the room – this makes your home appear larger and adds dimension. Remove clutter – this makes your home appear more spacious and inviting. Focus on uniqueness – Highlight amenities that set your house apart from the rest. 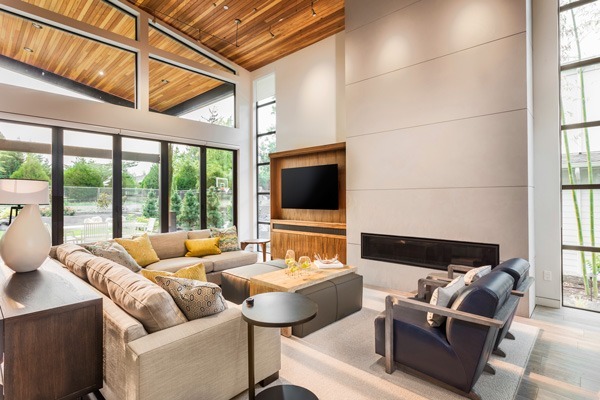 This might be your fireplace, outdoor decking, veranda, pool, or even superior interior design or architecture. If you use an online booking software such as Rezobx, you can simply update your listing in one place and then let Rezobx handle distributing to all the websites where you want to be listed. Facebook, Twitter, and Instagram are great places to show off your home and promote any special discounts. Social media is an excellent platform for marketing your business for free. Share photos of all the different things that can be done while staying at your home. Highlight unique events happening near you, such as music festivals, concerts, and markets. Give people a picture of what it would be like to stay at your home. If you have trouble making time to share things on social media, consider using a tool like Buffer, which allows you to schedule out bulk social media posts in advance. Another smart choice is to let people book your home directly from Facebook. With over 1 billion people on Facebook, you can be confident that there are many potential customers at your disposal. With Rezobx, you can accept bookings directly from Facebook, rather than forcing potential customers to book through a website. Most home rental sites reward hosts who regularly update their availability. Regularly updating your calendar ensures that all your open dates appear on the market. AirBnB recently reported that hosts who regularly update their calendars are 70% more likely to get booked. By consistently updating your calendar, you’ll show up higher in search results and attract more enquiries. Failing to update your calendar will cost you bookings. 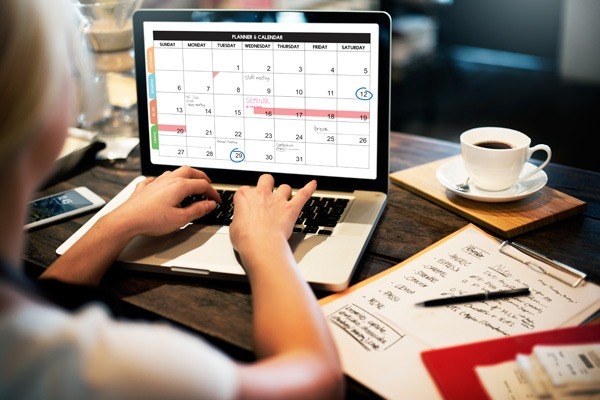 If you have trouble maintaining your holiday home calendar across a variety of listing sites, consider using a tool such as Rezobx, which creates a single point of entry for all calendar bookings related to your home. The information is then automatically distributed across a variety of listing sites, saving you countless hours. Many potential renters want to move quickly. They want to book a home and receive instant confirmation on their booking. They don’t want to deal with the inconvenience of waiting 24 to 48 hours to hear back about their accommodations. By adding a “Book Now” feature to your listing, you allow renters to instantly make their reservation and submit payment. By offering direct booking online, you will dramatically increase the number of bookings you receive. Rezobx offers a “Book Now” button which you can easily add to your website, Facebook, or other third party sites. This button is directly synced to your master calendar, and automatically updates the availability of your home across all sites. Understandably, you don’t want to pay more than necessary to get bookings for your home. But the reality is, distributing your home across as many sites as possible will lead to significantly more rentals, which in turn will raise the ROI of your holiday home. When it comes to spending money on distribution and listing, think of it as an investment that will lead to additional revenue. Luckily, increasing your listings is not as expensive as you might think. Rezobx uses a fee model, which will save you a significant amount of money in the long run. Listing your home with local visitor information centres and tourism bodies is a fantastic way to increase the number of bookings you receive. These websites usually rank very highly in local searches and often generate a large number of referrals. However, trying to list your home on all of these sites can be both difficult and time consuming. Fortunately, Rezobx already has agreements in place with many of these websites, making it incredibly simple to list your home on them. For more advice on how to successfully run your holiday rental property or bed and breakfast, check out the Rezobx blog for news, updates, and helpful tips about the tourism industry.